The basic message of the Bible can be understood in any language. At the same time, many biblical texts are hard to understand because they don’t quite make sense when translated into English. Something is missing. Quite frequently, what readers miss has been lost in translation. Maybe there is a pun or wordplay in the original. Sometimes names like Adam and Eve just seem like names to us but have meanings that are essential to the story. 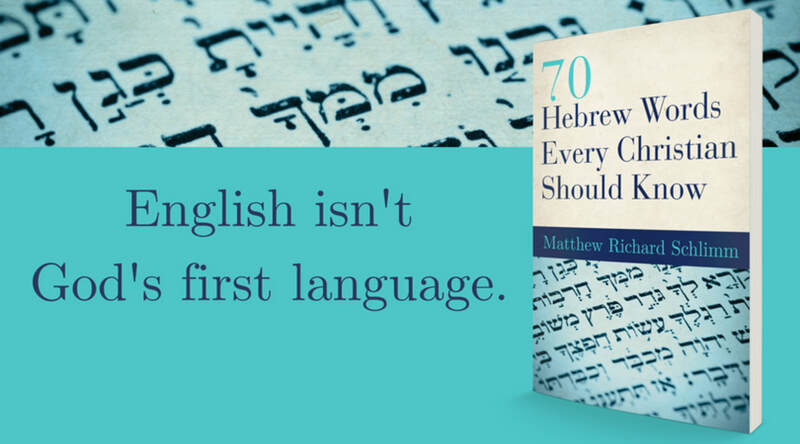 Many Hebrew words have multiple meanings, but the English translators have to just pick one - for example, the same Hebrew word can mean both hear and obey. Even more common are Hebrew words that have much wider meanings than their English translations. That’s where this book comes in. Learning a language is like learning a worldview. Those who learn biblical Hebrew can better understand not only what biblical authors wrote, but also how they thought. Unfortunately, those insights come only after years of study. This book is about getting right to the important, exciting insights. It’s an opportunity to be transformed by the renewing of our minds as we better understand how biblical authors used their language to express their experience of God and the world. If you are just beginning to study Hebrew and want the insights and motivation to continue or if you have no intention of learning biblical Hebrew but want to better understand the Bible, this book is for you! Additional resources that compliment this book: sound files, concordance, and reading schedules. "My specialties as a scholar pertain to the Bible’s first five books, so you’re likely to see a fair amount of them here. A book by a specialist in Obadiah would look quite different."